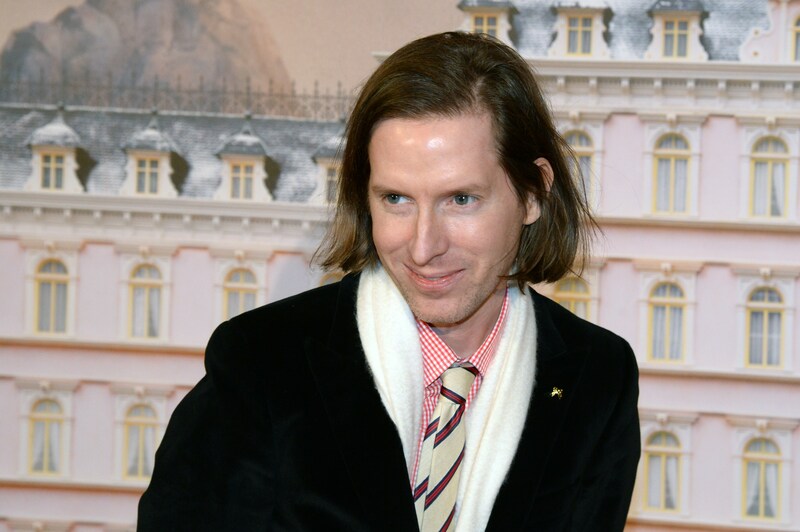 Wes Anderson is a mysterious man, living in his saturated symmetrical world that he once called "five degrees removed from reality." But this year, all eyes are on Anderson as the Academy Awards approach, where his film The Grand Budapest Hotel is up for nine Oscars, tied with Birdman and just ahead of The Imitation Game. Though Anderson surprisingly hasn't won an Oscar ever before, this might just be his year. And who's going to be on his arm at the 2015 ceremony this Sunday, Feb. 22? It's likely to be Wes Anderson's partner of 18 years, Juman Malouf, a Lebanese writer and artist. The two live in Paris, and Malouf has collaborated with Anderson on several of his projects. She played a small part in Anderson's movie The Fantastic Mr. Fox, his beautiful stop-motion dramatization of Roald Dahl's classic. Malouf was Agnes, Ash Fox's lab partner whom he has a crush on, but who shows interest in his cousin, Kristofferson. For The Grand Budapest Hotel, Anderson asked Malouf to create illustrated character sketches for the kooky cast: Gustave H and his protegé, Zero Moustafa, who eventually comes to own the hotel. The sketches were published in the movie's illustrated screenplay, and as Anderson revealed in an interview with The Guardian, they were "hung around the cast and crew's hotel: a mood thing." She also did artwork for Anderson's romantic and beautiful Moonrise Kingdom. Malouf created the wonderful covers for the books that Suzy Bishop holds so dear, including The Girl From Jupiter. There's a sweet short film about the books themselves, and Malouf's artwork makes me wish I had the chance to read these young adult books when I was a child. But perhaps the most touching part of their relationship — that the public knows about, at least — was Anderson's dedication of Moonrise Kingdom to his partner, which Richard Brody of the New Yorker called "a grateful tribute to a happy relationship and to the redemptive power of love itself, which gives rise to a happy ending." There's also a hidden message for her in the movie: "At Camp Ivanhoe, there is a sign visible that says Fort Lebanon" in honor of Malouf's Lebanese roots. Even though Anderson and Malouf are largely private, they seem like a perfect match: two artists collaborating and bringing their diverse talents together. They continue to live in Paris, and whether or not we spy her with the quirky director at the Oscars ceremony on Sunday, I'd place our bet that they will make more art together in the future.